The awe-inspiring nature of solar eclipses have captured the imaginations of countless generations of scientists, soothsayers and sophists. The term is derived from the ancient Greek noun ἔκλειψις (ékleipsis), which means “the abandonment”, “the downfall”, or “the darkening of a heavenly body”, which is derived from the verb ἐκλείπω (ekleípō) which means “to abandon”, “to darken”, or “to cease to exist,” a combination of prefix ἐκ- (ek-), from preposition ἐκ (ek), “out,” and of verb λείπω (leípō), “to be absent”. Therefore, it’s no surprise solar eclipses feature in the history books. Records of solar eclipses have been kept since ancient times. Eclipse dates can be used for chronological dating of historical records. A Syrian clay tablet, in the Ugaritic language, records a solar eclipse which occurred on March 5, 1223 B.C., while Paul Griffin argues that a stone in Ireland records an eclipse on November 30, 3340 B.C. Similarly, it’s no surprise solar eclipses feature in the Hecker Horizon narrative. May the 6th, a great Eclipse of the Sun in England, followed by a great Drought, Scarcity of Corn and Hay. Gradualist science endorses the view that a Total Solar Eclipse occurred on 5th May 1361 but it suggests England didn’t experience totality. The Gregorian calendar is used for all dates from 1582 Oct 15 onwards. Before that date, the Julian calendar is used. The narrative provided by Thomas Short can be reconciled with the current gradualist definition of the Total Solar Eclipse of 5th May 1361 by [for example] rocking and rolling the Earth. Unsurprisingly, there is evidence that suggests the Earth was rocking and rolling. The trepidation data suggests the axis of the Earth had experienced one, or more, wobbles. TREPIDATION (from Lat. trepidare, to tremble), a term meaning, in general, fear or trembling, but used technically in astronomy for an imagined slow oscillation of the ecliptic, having a period of 7000 years, introduced by the Arabian astronomers to explain a supposed variation in the precession of the equinoxes. It figured in astronomical tables until the time of Copernicus, but is now known to have no foundation in fact, being based on an error in Ptolemy’s determination of precession. Such a series of axial wobbles would help explain why Southern Africa completed a “coherent loop” when it rocked and rolled [between] 425 and 1370 CE. Such a series of axial wobbles would also help explain why Scotland reeled. b) The isotope traces from the Greenland and Antarctic ice cores. A series of axial wobbles coupled with an orbital excursion would help explain why it became necessary to create three new lunar calendars in the 15th and 16th centuries. The clergy [repeatedly] adjusted the Lunar calendar to prevent a Solar Eclipse at Easter. Duhem has noted that on this point the Alfonsine Tables happened to be much more correct than on some others, and that the reform made in 1582 by Gregory XIII might have been as accurately instituted by Clement VI in 1345. Our authors, however, apparently aware that the pope was then not especially interested in the reform of the solar calendar, although they point out that the fixed feasts are becoming farther and farther removed from the true solstices and equinoxes, profess that correction of the lunar calendar is more necessary, and that there may be considerations of expediency which forbid alteration of the solar calendar, such as the criticisms which would be made by schismatic sects whose Christmas had hitherto occurred on the same day as that celebrated by the Roman church. This illustrates that the treatise is not a purely astronomical and scientific discussion but takes ecclesiastical considerations to some extent into account. The clergy wanted to maintain the illusion that the eclipse at the time of Christ’s crucifixion was “miraculous and naturally impossible”. This is further brought out in the argument that if the lunar calendar is not reformed, the eclipse of the sun at the time of Christ’s passion will no longer appear as plainly miraculous and naturally impossible at that date, because on a seemingly corresponding day of the year a natural eclipse will be possible. In this connection our authors repeat the usual reasons for regarding the darkness at the time of the crucifixion as miraculous and not a natural eclipse. Among other things it lasted too long, three hours, and it occurred at the time of the full moon when a natural solar eclipse is impossible. Somehow. or other, it’s been determined a clergy friendly Solar Eclipse occurred in 29 AD. Gradualists began producing Eclipse Canons over 130 years ago. Solar eclipse canons have traditionally been publications offering maps of past and future eclipse paths using the best ephemeredes of their day for calculating the positions of the Sun and Moon. 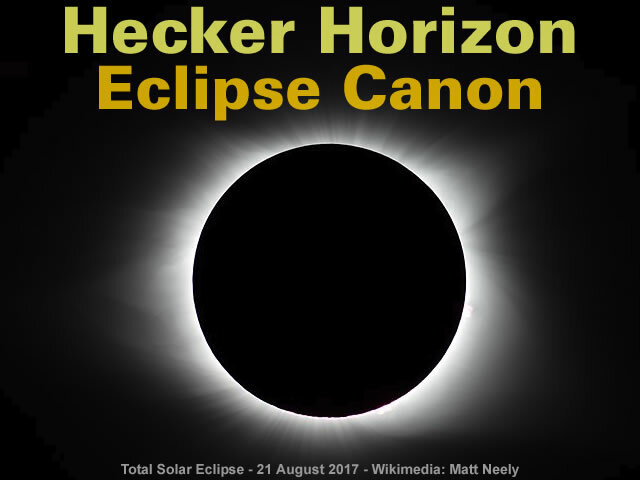 The first major work of this kind was Theodor von Oppolzer’s 1887 Canon der Finsternisse (Translated as Canon of Eclipses, Gingerich, 1962). With the arrival of the electronic computer, the Canon of Solar Eclipses (Meeus, Grosjean, and Vanderleen, 1966) contains the Besselian elements of all solar eclipses from +1898 to +2510, together with central line tables and maps. Without exception, all solar eclipse canons produced during the latter half of the 20th century were based on Newcomb’s tables of the Sun (1895) and Brown’s lunar theory (1905), subject to later modifications in the Improved Lunar Ephemeris (1954). These were the best ephemerides of their day, but they have all been superseded. of the actual time of occurrence of eclipses of the moon for the period of sixteen hundred years, from A.D. 300 to 1900. The calculations in Table E. have been based on von Oppolzer’s Canon der Finsternisse (Denkschrtften der Mathematisch naturwissen schaftlichen classe der Kais. Akadcmie der Wissenschaften in Wien, Vol. LII., 1887). All eclipses are included, whether visible or invisible. The Eclipse Canons encourage historians and archaeologists to sing from the same gradualist hymn sheet whenever they try to date historical eclipses. A primary goal of this work is to assist historians and archeologists in the identification and dating of eclipses found in references and records from antiquity. “the body of rules, principles, or standards accepted as axiomatic and universally binding in a field of study or art”. When sources provide conflicting dates then the Eclipse Canon is the official arbiter. Of the astrological works by John of Eschenden of which we shall treat the earliest was a prognostication made on March 20, 1345, from the total eclipse of the moon and conjunction of the three superior planets in that year. Eschenden gives the time of the eclipse as nineteen days, nine hours, and 46 minutes completed from the beginning of March, which does not agree with Geoffrey of Meaux’s placing the eclipse on March 18th of that year. Archaeoastronomy and the Eclipse Canons are more sophistry than science. Gallery | This entry was posted in Books, Catastrophism, Earth, Geology, Glaciology, Hecker Horizon, History, Moon, Old Japanese Cedar Tree, Science, Solar System, Uniformitarianism. Bookmark the permalink. I am unable to post to that article, so posted it here. Magna Carta mentions the poriginal 5 ports…. No land connection in 1215.